Big ideas almost always come in small words. One word. Two letters. Infinite possibilities. If inspires everything we do and allows us to see where improvements can and should be made. We believe that it’s the ability to innovate and stay curious that creates competitive advantage and endearing consumer–brand relationships. Founding partners Tim Kelly and Pat Kelly have a passion for creative marketing that has spanned more than 30 years. After working with various west coast agencies on some of Canada’s most well–known brands, the two met as a result of a merger that took place in 1988. They’ve been working side by side, as colleagues, business partners and as husband and wife, inspiring one another ever since. With the desire to simplify the process and work more closely with clients, they opened their own agency in 2001. The formula for business was simple: talented people + good clients + smart work = success. Today If maintains close client relationships with a transparent, well–managed, hands–on approach. We create smart compelling work for local, national and international companies that rely on us to truly make a difference. 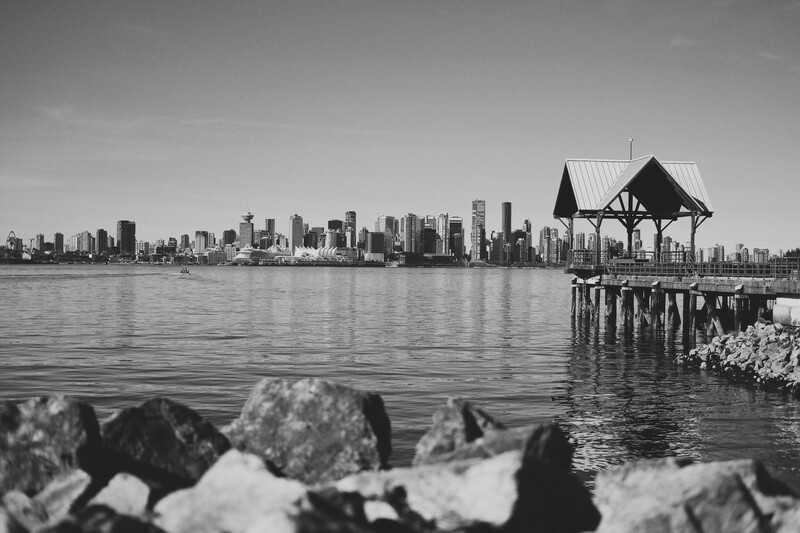 We’re based in Lower Lonsdale, where the views from our studio serve up plenty of inspiration. Developing a well–defined brand strategy that builds on a vision and is aligned with your business strategy is key to defining brand positioning, differentiation and your competitive advantage. Our brand strategies provide a singular, unifying idea around which all actions and creative is aligned. The right name is easily remembered. Great brand names connect with people. They reflect the true spirit of the brand, communicate well visually and are timeless. Our approach to name generation will deliver a distinctive name for your company, product or service. One that’s legally available, URL friendly and above all, memorable. Deceptively simple yet powerful tools. Taglines are shorthand for what a brand stands for. They capture a brand’s personality and point of difference in just a few brilliant words. Good taglines are meaningful and provoke an emotional response. Great taglines build brands that stand the test of time. We can make sure yours is a great one. The best brands stand for something. The more powerful your brand purpose, the more powerfully your brand will resonate. Purpose driven branding reaches farther, connects more deeply and builds greater brand loyalty. We’ll help you leverage every touchpoint and amplify every brand message, to engage people in a meaningful way. See it. Touch it. Hold it. Great design appeals to the senses. It brings brands to life and fuels recognition. From corporate identity to printed materials and online, If creates graphic design that communicates ideas, extends your brand reach and captivates consumers. We believe that great design effects every aspect of life and creates better brand experiences. To us, the egg is still the perfect package. The shelf is a scary place and the most competitive marketing environment in existence. Good packaging design not only sells, but is part of a better brand experience. With clarity and simplicity in mind, we take a disciplined, coherent approach to ensure a unified, powerful brand presence and maximum shelf impact. Our world is becoming increasingly connected to digital tools and information. By employing technology with insight, inventiveness and craft, we can help your brand evolve digitally to make the most of it. All while ensuring your websites, apps and online services deliver user experiences that are both compelling and consistent. More than ever before, customers are active participants in the brand–building process. They control the conversation, choosing which brands to let in to their universe or not. A dynamic social strategy is an essential tool to help discover where your audience is, how they engage online and how to empower them to support your brand enthusiastically. There’s certainly no shortage of content in the world. And yet, every hour of every day, people seek out new things to watch, listen to, read and share. Photography, videos, podcasts, articles — you name it. We help create engaging content for people to enjoy and connect on a deeper level with your brand. Advertising influences, persuades and entertains. Exceptional advertising does all that and more. It gets talked about. Not merely a source of information about new products and services, a well–planned and well–crafted ad campaign continues to be one of the most powerful communications tools we deliver. Status quo is mediocrity’s best friend and If’s worst enemy. The team at If is a multidisciplinary group of creative professionals who are dedicated to one common goal: to bring brands to life with simple, relevant, differentiating ideas. We look for the answer that hides behind what’s pretending to be the answer. If we don’t surprise we’re not happy. Complementary by design, we deeply value the power of partnerships amongst ourselves and with our clients. Nothing is as contagious as enthusiasm. We’re proud to work with these great local, national and international clients. For general inquiries please drop us an email at hello@weareif.com or call 604 988 1407. Email Tim Kelly, Barry Duncan or Penny Greening, or call the studio at 604 988 1407. We’re always interested to hear from talented creative people. Contact us at careers@weareif.com.